I am not a huge fan of black beans but I wanted to try making a bean burger. I decided to use Pinto Beans instead and it was simple and delicious! 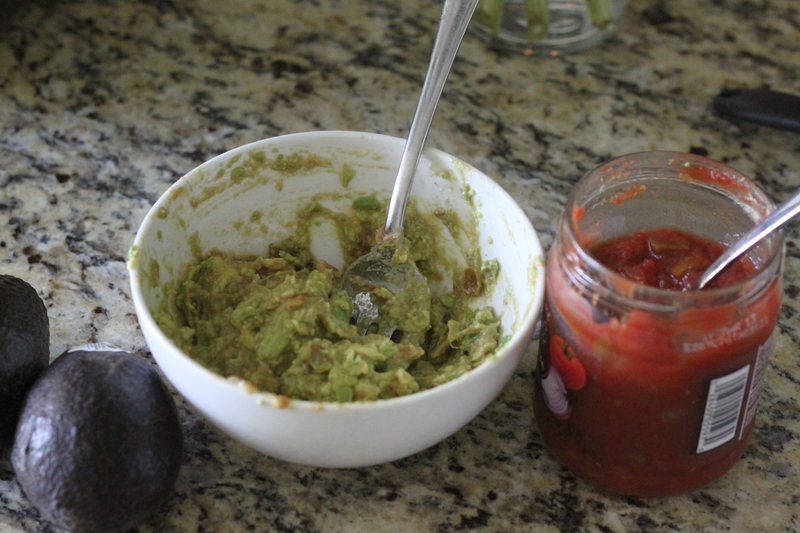 Once you spoon out the avocado, add 1 or 2 tablespoons of salsa and mix. Smash the beans with a fork and then add the remaining ingredients. Stir well but not too much. You want your burgers to be chunky and irregularly shaped. 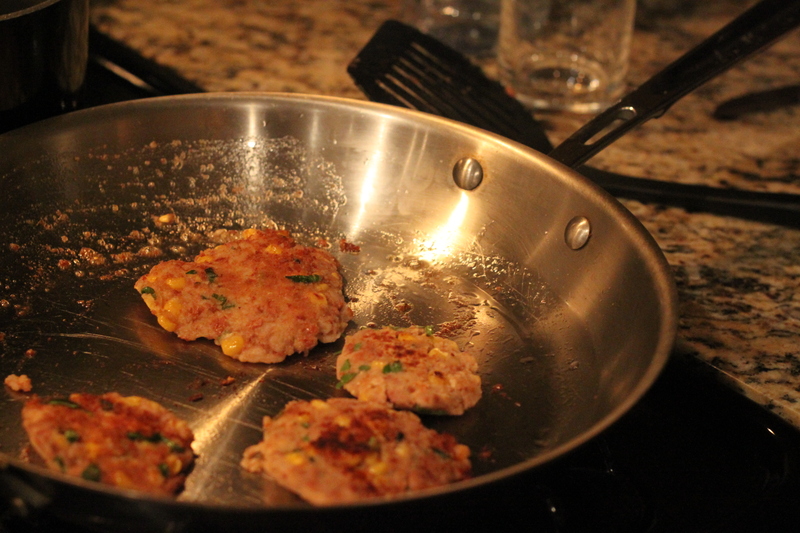 If you want your bean burger to be on the dry side, bake them on a cookie sheet for 10 minutes at 400 degrees. 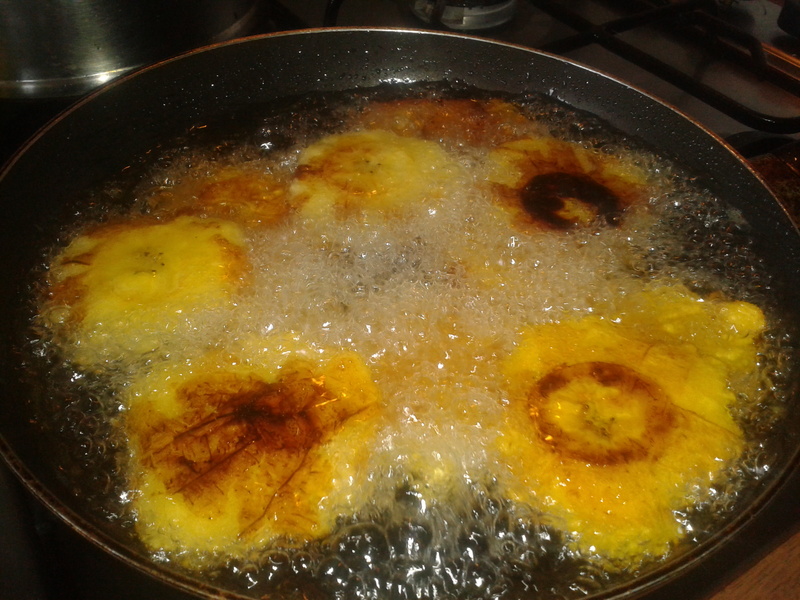 If you want them slightly moist, pan fry them for 3-4 minutes on each side. 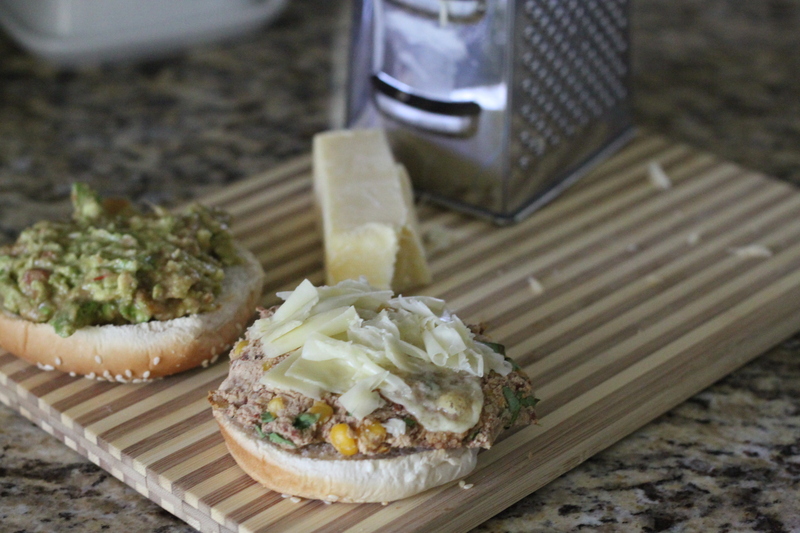 Top with a generous amount of cheese on each burger and add your Avocado Salsa. Enjoy! Baby Food: I baked a burger for my 1 year old daughter. Once it was done, I mashed it in a tablespoon of rice and added a tablespoon of avocado and 1 tablespoon of pureed carrot. She LOVED it!